Oil slicks and sheen from the Deepwater Horizon blowout. Detail from NASA/MODIS taken from the Aqua satellite on April 25, 2010. A new campaign to have the United Nations recognise ‘ecocide’ as a “crime against peace” has just been launched in the UK. The This is ecocide campaign, the brainchild of British lawyer turned activist Polly Higgins, is calling for ecocide to join the four existing “crimes against peace”— genocide, war crimes, crimes of aggression (such as unprovoked war), and crimes against humanity. However, an expert on international law from the United Nations University Institute for Sustainability and Peace (UNU-ISP) argues that equating ecocide with genocide and expecting it to be prosecuted by the International Criminal Court (ICC) could be useful for name-and-shame campaigns, but in terms of law, is neither practical nor theoretically sound. Environmentally destructive and even criminal behaviour committed by powerful multinational corporations and national governments has often had lethal effects on local communities and ecosystems. Today, with ever more desperate grabs at resources taking place, crimes of this sort are on the increase. According to an unpublished report by the United Nations, 3,000 of the world’s biggest companies have caused US $2.2 trillion worth of environmental damage. Therefore indeed — in light of poor regulation, neglect and complicity by national governments in dealing with environmental injustices — there is a clear need for international mechanisms through which perpetrators can be held responsible and victims can claim compensation. The logic behind the campaign’s proposal is that ecosystem loss leads to resource depletion and ultimately war. The campaign, in its video embedded below, says that “extraction = ecocide”. But what level of extraction or damage from extraction could be considered ecocide? Would a certain level of pollution or number of deaths have to occur before individuals can be indicted for ecocide? These sorts of details remain unclear for now. What is clear is that establishing ecocide as an international crime would ensure that ecological crimes would come under the jurisdiction of the ICC in cases where national governments were unwilling or unable to take actions to ensure accountability. Another distinctive element of the proposal is that actions that affect all species — including “[s]oils, seas, trees, animals, fish, humans, the atmosphere” — can be prosecuted. This differs from the anthropocentric nature of legal institutions, although consideration of impacts on the environment can be found in Just War ethics and other philosophical traditions. The campaign also emphasises that ecocide could not be used to prosecute those who deny climate change. Dr. Vesselin Popovski, Senior Academic Officer at UNU-ISP shares the spirit of anger and condemnation against those he terms “eco-destroyers” and the need to ensure that perpetrators are held accountable. He has experience working in the former Soviet Union helping victims of ecological disasters, including Chernobyl, in their struggle for compensations. However, Popovski differentiates between advocacy and campaigning on the one hand — where using terminology such as ‘ecocide’ can attract attention and support — and introducing international legal norms, such as a fifth crime against peace, on the other. Genocide, he argues, is a result of criminal intent, planning and execution, whereas ecocide is a result of greed and negligence that can also be criminalized, but in different legal processes, not in the international humanitarian law that applies in armed conflict. “Wars over resources may happen. Indeed, people facing shortages may start to fight, but they may also start to cooperate to find better solutions. Instead of killing others to survive, as in ancient times, modern humans might decide instead to utilise science to find renewable energy, low-carbon and other efficiency solutions and resolve the resource and water shortages,” he says. If the ICC is not the best institution through which to seek environmental justice, what other options are there? Popovski believes that there is plenty of room in domestic legal systems to prosecute perpetrators of environmental injustice. “In many countries, pollution and eco-degradation are already criminalized and one does not need to complicate it with the abstract terminology of ecocide,” he argues. Recently, special environmental courts and tribunals have emerged. The NGO Access Initiative published a report, entitled Greening Justice (PDF), that demonstrates the significant growth of environmental tribunals. Currently there are about 350 such courts in more than 40 countries. In one case that Popovski cites as an example, Öneryildiz v. Turkey, a methane explosion killed 39 people in Turkey and the ECtHR ruled that failure to prevent or mitigate consequences of natural disasters amounts to a violation of the right to life (Art. 2 of the Convention) and incurs state responsibility under international law. In another groundbreaking case, Budayeva v. Russia, eight people killed in a mudslide in the mountains of central Caucasus were found to have died as a result of local government’s negligence. From this precedent, the ECtHR expanded the state’s responsibility to cover purely natural disasters and the judges also found Art. 2 violation and ordered compensation to be paid to the victims’ relatives. In light of the Budayeva precedent, Popovski argues that people can demand state responsibility for prevention of ecological disasters. Despite the existence of national or regional level solutions, overall these are still very limited given that so many governments lack either the capacity or willingness to adequately monitor ecological impacts. Therefore, there is strong need for international monitoring and accountability mechanisms — separate from the ICC — to address governmental failure to prevent or respond to eco-degradation, according to Popovski. “In the long term, the international community should strive for an international monitoring mechanism of state compliance with environmental standards. States could report what they do to prevent ecological degradation to a special international body, in the same way that development of nuclear technology is monitored by the International Atomic Energy Agency,” Popovski suggests. Through such an agency various industries — e.g., extractive ones like oil and gas — should be scrutinized by inspectors. Such a mechanism could resemble the Vienna Convention on Civil Liability for Nuclear Damage but cover a much wider range of environmental risks. “This international context and the political realities behind international law should be kept in mind when we pursue new ideas and advocacy, however important and justified they are. Establishing international norms takes a lot of time, decades or even centuries. The International Criminal Court for example, has taken a long time to be finally established and able to prosecute heads of state — an idea dating back to the Versailles Treaty in 1919. And the role of civil society organizations in this was crucial,” Popovski told us. Even if the ICC is not the ideal mechanism through which to prosecute eco-crimes, hopefully this initiative sparks urgently needed debate over how national governments and the international community can tackle these issues effectively and consistently. “My hope is that a chain of domestic legal actions against individual industrial polluters — in concert with further international codification and implementation of measures that ensure state responsibility to prevent and punish eco-destroying activities — may reduce the risks and allow the planet to survive,” Popovski concludes. Should ecocide be deemed a crime against peace? by Mark Notaras is licensed under a Creative Commons Attribution-NonCommercial-ShareAlike 3.0 Unported License. So, again, why do we get this ecocide? Money, property, greed and egoism. If we change the system from the roots, and at least remove two of the elements in this equation; money and property, and replace it with joy and access, we should come a long way. The Monetary System PRODUCES greed and egoism. All people are not selfish egoistic bastards from birth. But many are made to become it, trapped in todays Monetary System, where one have to fight to survive. The alternative? A world based on equal access for all to this abundant planet. A system where we don’t need money or property because we have ACCESS to everything we need. A world with a system that LET PEOPLE BE FILLED WITH LOVE. That makes it EASY to live. Why shouldn’t it be easy to live? There’s absolutely no reason for it to be hard to live this life. This is a lie told to us through generations, to raise us to be good consumers, serving the monster of THE MONETARY SYSTEM, run by a few beings on this planet. Ecocide is an excellent way of giving a voice to the environment and allow those that care for the future of the earths eco systems a legal route to protect it. Businesses need legal boundaries that they keep within and consequences if they don’t. Really excellent article Mark. If only Polly Higgins would respond here in the comments section. Would like to know how she reacts to your article. Heart breaking truth in this video. 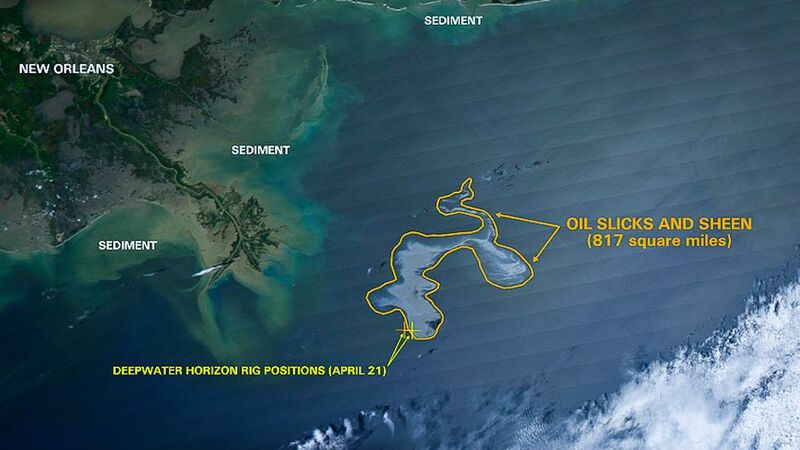 I wondered what to call this crime in the Gulf of Mexico….ecocide. Why is Popovski against ecocide then? The things she suggests would achieve the same ends.